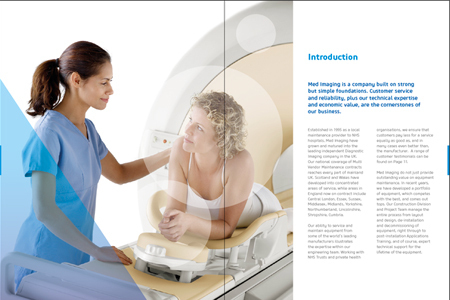 We’ve been busy putting the finishing touches to a brand new Med Imaging product brochure, which will act as a comprehensive guide showcasing the machines and equipment that Med Imaging have to offer to medical facilities across the UK. 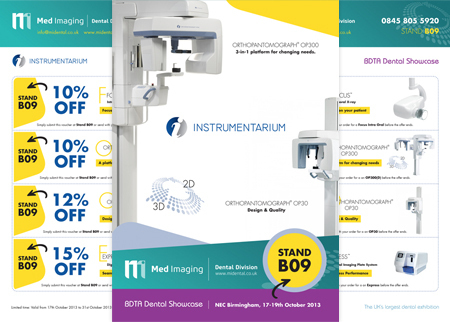 We have also created artwork for Med Imaging’s dental division, MI Dental, who will be exhibiting at the BDTA Dental Showcase, spot B09, on the 17th-19th October 2013. Find great savings on equipment and exclusive discount vouchers in the latest edition of FMC BDTA Dental Showcase Show Guide, 2013.